I am so sorry I have been super busy with the new addition who is now 17 months old and we are expecting another girl in December! 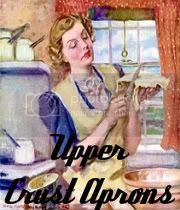 I would love to make some aprons for Christmas, if you would like one let me know! Mothers Day is just around the corner! What are you getting your Mom? 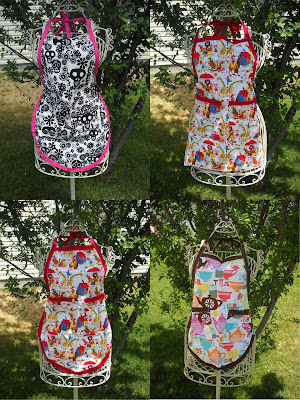 I have fun new Fabric Prints ready to make wonderful Aprons for You or your Mommy! Check out my Facebook for more prints! A week ago I got a phone call asking for 16 Fancy Nancy Aprons for a Birthday Party! I enjoyed making these little Aprons! Thank You So Much Pateresa! Thank you Cindy I hope you Love the Apron! I have improved them by sewing fabric on both sides. You will thank me for this! Stuffed full with about 60 Aprons for the April Boutique!